Dr Walsh has been in orthopaedic practice in Western Sydney for 35 years. Dr Michael Walsh completed his undergraduate medical training at the University of New South Wales in 1976. After several years of accredited General Surgical Training which included six months training under Dr Victor Chang at the cardiac surgery unit at St. Vincent’s Hospital, Sydney, he progressed to another 2 years accredited neurosurgery, chest surgery and abdominal surgery at Sydney Hospital. With this extensive and broad-based background in general surgical training, he commenced orthopaedic training which was undertaken under the Australian Orthopaedic Association’s Sydney based programme and was completed in 1985. After spending most of 1986 in Fellowships in Graz, Austria and Milano, Italy specialising in surgery to the hip and the knee, Dr Walsh commenced orthopaedic practice in Western Sydney where he currently practices. He has held appointments at Mt Druitt Hospital, Nepean Hospital, Hawkesbury Hospital and 3 Combat Support Hospital at the Richmond RAAF Base. To continue his educational development, Dr Walsh has done fellowships in Murau, Austria (neonatal hip ultrasound), Lisbon, Portugal (hip revision surgery), Maastrict, Holland (primary hip surgery), St. Louis Missouri (knee surgery), Mayo Clinic, Minnesota USA (knee and elbow surgery), Exeter, UK (hip surgery). Dr Walsh’s years of general surgical training, before commencing formal orthopaedic training, have stimulated him to develop an interest and expertise in soft tissue skeletal surgery. His particular interests are in the surgical management of common intractable conditions of the hip (“trochanteric bursitis”), the elbow (lateral epicondylitis or “tennis elbow”) and the foot (plantar fasciitis or “heel spurs”). Dr Walsh’s experience with tendon reconstruction for trochanteric bursitis over the past 25 years has brought him to the attention of international audiences and he is frequently asked to speak about the management of this condition and demonstrate the surgical procedure in meetings in Australia and overseas including the UK, Italy, Denmark, Belgium, Canada, USA, South Africa and Angola. In May 2007, he was invited to demonstrate the surgical technique for gluteal tendon repair at the International Hip Meeting in Exeter UK one of the leading hip surgery centres in the English speaking world. Dr Walsh has published papers on Traumatic Aneurysms (The Hand), Gluteal Tendon Repair (The Journal of Arthroplasty), an invited article on his New Operation for Plantar Fasciitis (Foot and Ankle International) and on a new surgical instrument he invented with Dr Alex Churches with whom he holds a patent for the device (British Journal of Engineering). This instrument is a universal leg positioning device which he conceived and developed in collaboration with Dr Churches during his orthopaedic training. Since commencing practice, he has presented numerous papers at the Australian Orthopaedic Association Annual Scientific Meeting on Total Hip Replacement Surgery, his development of a database application for clinical information management and on the technique and surgical outcomes of Gluteal Tendon Repair and the operation he has developed for Plantar Fasciitis. He has presented his work on gluteal tendon reconstruction at the British Orthopaedic Association annual scientific meeting, the American Academy of Orthopaedic Surgeons and at international meetings in Exeter UK, Copenhagen Denmark, Milano Italy, Ghent Belgium, Whistler Canada and Milwaukee Wisconsin. Dr Walsh is the Discipline Head of Surgical Training at the Hawkesbury Campus of the School of Medicine Sydney University of Notre Dame and has a great interest in the education of medical undergraduates. He is an active participant in the Australian Orthopaedic Association training programme and is involved in the education and training of our up and coming orthopaedic surgeons. 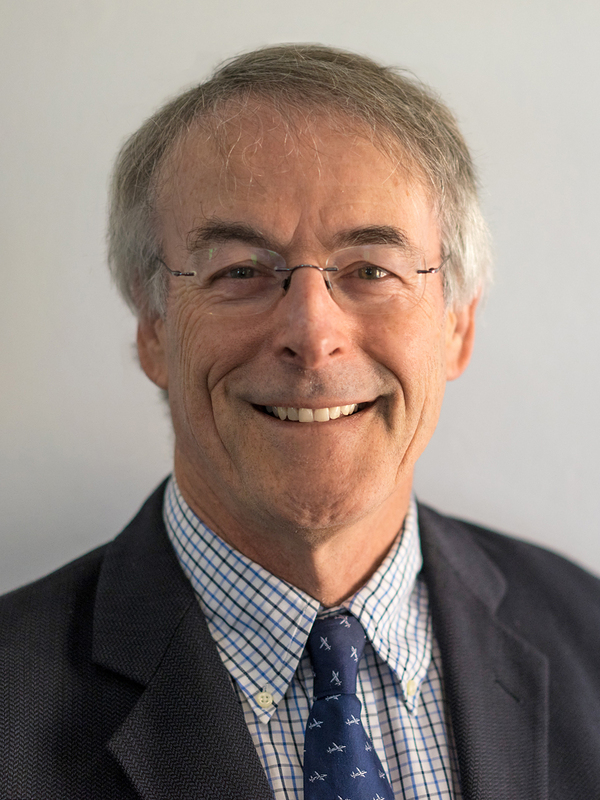 Dr Walsh is senior orthopaedic surgeon at St. John of God Private Hospital, Windsor and Hawkesbury District Health Service. He is the Discipline Head of Surgical Training at the Hawkesbury Campus of the University of Notre Dame, School of Medicine Sydney. Away from the practice of Orthopaedics, Dr Walsh enjoys skiing, road and mountain bike riding, canyoning and bushwalking. He relaxes playing piano. He speaks reasonable French and has a working knowledge of Italian and German from his time in Austria and Italy. He has considerable expertise in database design and development and has created an application for complete information management in Orthopaedic practice. He holds a commercial helicopter pilot’s licence which he uses to travel to his farm near Mudgee and to do charter pilot work around Sydney. Dr Walsh lives close to his practice in the lower Blue Mountains. He has never been a member of any committee or political organisation and aspires to Sir John Charnley’s philosophy that he managed to conduct his entire professional life without ever being a member of a committee.